Largely unseen, the digitally connected families of the world have over the last four to five years taken a lead role in providing their pre-primary children, from the first year of life onwards, the start of a quality 24/7/365 lifelong digital education. Critically they have employed the same naturally evolving, highly individualised laissez faire model of teaching used so successfully by the digitally connected families of the world in providing millions upon millions of their older children the desired education. It is a success that should be proclaimed universally and the parents commended for their success in contending with a rapidly evolving, uncertain digital environment. The very real challenge for pre-primary parents worldwide will be to build upon that model, to proclaim its success and prevent bureaucrats and educators – no matter how well intentioned – from instituting the stultifying structured approach found so wanting within the schools. The pre-primary children of the developed, and increasingly the underdeveloped world, are on track to begin formal schooling having normalised the astute use of the digital, and for the digital to play a central role in their upbringing, lives and learning. The implications of the pre-primary digital normalisation are immense and are only now becoming apparent. They will impact on every facet of the children’s vital early childhood upbringing and education, whether governments desire it or not. It is a development all need to better understand if it is to be used astutely and enhanced. The origins of the development are to be found soon after the emergence of the WWW in 1993, in the historic change to the nature of youth, and youth education, that flowed from the digital empowerment of the world’s young, the evolution of the digitally connected families and the introduction of digital touch screen technologies. The move by parents globally twenty plus years ago to empower the young outside the school and provide them with largely unfettered use of the online and the digital has as mentioned had profound implications. By the early 2000’s the adolescents of the developed and increasingly the developing world had with the vital support of their families normalised the use of the digital, albeit outside the school walls. As indicated by around 2007 – 2009 the digitally connected family had become the norm across the developed and increasingly the developing world, with the digitally empowered parents taking a greater lead role in their children’s 24/7/365 digital education. It bears remembering that until the mid 2000’s digital usage by the world’s young was primarily by the teens, and while much younger children used the technology the keyboard and the mouse were not exactly child friendly. The release of all manner of touchscreen technologies in the 2007 – 2010 period – the iPhone, the iPod Touch, the Android mobile operating system, Apple’s App store, the iPad and the Android based tablets– changed the scene irrevocably overnight. Very quickly the age of those of using the mobile technologies plummeted. Devices like the iPod Touch and the iPad became very popular with the young, with many a young child also accessing mum and dad’s smartphone. 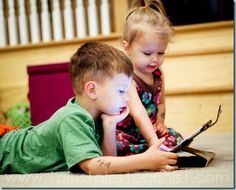 By 2012 – 2014 children as young as two or three were readily using iPads and the various Android tablets, with the parents having to contend with the development. They, like the digitally connected families before them, moved naturally to using an informal, non-linear, highly fluid, self-directed, individualised, play based, parent or older sibling guided model of learning. Any who have sat and observed the very young at play on an iPad will have soon noted the children’s excitement, the use of the visual – and rarely the verbal – intelligence in navigating the device, the integrated approach, the speed of learning but also the vital role the family members play in assisting the children over hurdles, and bringing the usage to an end. The digital connected families of the world have – largely of their own volition – accommodated the surge in pre-primary use very well. A read of the European Commission’s study (Chaubron, 2015) of 0-8 digital learning in eleven European countries or the Erikson (2016) study of US families reveals the common sense, the balance and networked learning brought to play by the parents, and the limited contribution made by educators. It bears noting that the UK Ofcom (Ofcom, 2016) reported that 37% of 3-4 year olds accessed YouTube from a mobile device in 2016. We suspect every parent with a pre-primary child would appreciate some support and direction in the use of the digital, but the vital message should be one of commendation for their success in a period of rapid, accelerating and uncertain digital evolution and transformation, where few experts globally have much more insight into the path ahead. In many respects the success should not come as a surprise. The current digitally connected families are among the most educated in their nation’s history, who have long normalised the everyday use of the digital. They have, particularly in the last decade, grown their ability to lead the out of school 24/7/365 digital education of the young and to use a learning model that continually delivers in an era of rapid uncertain digital evolution and societal transformation. appreciate the pre-primary children’s application of their visual intelligence to their digitally based learning will likely over time occasion a reworking of at least sections of the Piagetian base upon which educator’s work. become intolerant of schools that continue to refuse to recognise the very valid and important learning that happens in the out-of-school and in the family environment. Appreciate as part of a digitally connected family parents are embarking upon a lifelong education, that will invariably entail all continually making the best use and application of an ever evolving, increasingly powerful, sophisticated and integrating suite of digital technologies. One most assuredly is not on a short sprint where the parents will hand all digital education over to the school. Schools that do not collaborate with their families and listen to their pupils on the digital will not only fail their societal remit but will educationally, socially and economically disadvantage their students. If very fortunate the children will attend a digitally mature school which will respect and build the children’s learning and genuinely collaborate. Sadly most schools won’t be interested and will expect the children to conform with the traditional one size fits all highly structured teaching program. This entry was posted in 24/7/365 digital education, Digital normalisation, digital schools, digitally connected families, early childhood digital normalisation, Implications school evolution, laissez faire digital education model, lead role of young and family in digital education, networked family, pre-primary digital normalisation on May 22, 2017 by mallee. From the introduction of the World Wide Web in 1993 the young of the world have experienced two models of digital education, that outside the school walls and that within. Outside the young and the digitally connected families of the world employed – unseen – the naturally evolving laissez faire model. Within the school the young worked within the traditional, highly structured model. It is time the difference is understood, the global success and benefits of the laissez faire recognised and lauded, and the serious shortcomings of the highly structured understood and addressed. For much of the period the two models ran in parallel, with most schools showing little or no interest in the out of school digital education. Around 2010 – 2012 the scene began to change when a handful of digitally mature schools began genuinely collaborating with their families in the 24/7/365 digital education of the children. Those schools had reached the evolutionary stage where their teaching model and culture closely mirrored that of the families. They revealed what was possible with collaboration. That said it took time for that collaboration to take hold more widely and for the most part the parallel models continue in operation today, with the difference between the in and out of school teaching growing at pace. It is surely time for schools and government to question the retention of the parallel modes and to ask if taxpayers are getting value for the millions upon millions spent solely on schools when the digitally connected families receive no support. Might it be time to employ a more collaborative approach where the schools complement and add value to the contribution of the families? That of the families we know well. It has been built around the home’s warmth and support, and the priority the parents attached to their children having a digital education that would improve their education and life chances. The focus has always been on the child – the individual learner – with the children from the outset being provided the current technology by their family and empowered to use that technology largely unfettered. Importantly the family as a small regulating unit, with direct responsibility for a small number of children could readily trust each, and monitor, guide and value their learning from birth onwards, assisting ensure each child had use of the current technology and that the use was wise and balanced. The learning occurred within a freewheeling, dynamic, market driven, naturally evolving environment, anywhere, anytime, just in time and invariably in context. Those interested could operate at the cutting edge and the depth desired. The time available to the digitally connected family was – and continues to be – at least four/five times greater than that in the school. It was to many seemingly chaotic, but also naturally evolving. Very quickly the family learning environment became collaborative, socially networked, global in its outlook, highly enjoyable and creative where the young believed anything was possible. By the latter 2000’s most families had created – largely unwittingly – their own increasingly integrated and sophisticated digital ecosystem, operating in the main on the personal mobile devices that connected all in the family to all manner of other ecosystems globally. Digital learning in the school. The general feature of the school digital learning environment has been invariably one of unilateral control, where the ICT experts controlled every facet of the technology and its teaching. They chose, configured and controlled the use of both the hardware and software, invariably opting for one device, one operating system and a standard suite of applications. The students were taught within class groups, using highly structured, sequential, teacher directed, regularly assessed instructional programs. The school knew best. The clients – the parents and students – were expected to acquiesce. There was little or no recognition of the out of school learning or technology or desire to collaborate with the digitally connected families. The teaching was insular, inward looking, highly site fixated. In reflecting on school’s teaching with the digital between 1993 and 2016 there was an all-pervasive sense of constancy, continuity, with no real rush to change. There was little sense that the schools were readying the total student body to thrive within in a rapidly evolving digitally based world. Significantly by 2016 only a relatively small proportion of schools globally were operating as mature digital organisations, growing increasingly integrated, powerful higher order digitally based ecosystems. The reality was that while the learning environment of the digitally connected families evolved naturally at pace that of most schools changed only little, with most schools struggling to accommodate rapid digital evolution and transformation. With the advantage of hindsight, it is quite remarkable how hidden the laissez faire model has remained for twenty plus years, bearing in mind it has been employed globally since the advent of the WWW. For years, it was seen simply as a different, largely chaotic approach used by the kids – with the focus being on the technological breakthroughs and the changing practices rather than on the underlying model of learning that was being employed. It wasn’t until the authors identified and documented the lead role of the digitally connected families of the world did we appreciate all were using basically the same learning approach. The pre-primary developments of the last few years affirmed the global application of the model. We saw at play a natural model that was embraced by the diverse families of the world. All were using the same model – a naturally evolving model where the parents were ‘letting things take their own course ‘(OED). The learning was highly individualized, with no controls other than the occasional parent nudge. That said the learning was simultaneously highly collegial, with the young calling upon and collaborating with their siblings, family members, peers and social networks when desired. Interestingly from early on the young found themselves often knowing more about the technology in some areas than their elders – experiencing what Tapscott (1998) termed an ‘inverted authority’ – being able to assist them use the technology. Each child was free to learn how to use, and apply those aspects of the desired technologies they wanted, and to draw upon any resources or people if needed. In the process the children worldwide – from as young as two – directed their own learning, opting usually for a discovery based approach, where the learning occurred anytime, anywhere 24/7/365. Most of the learning was just in time, done in context and was current, relevant, highly appealing and intrinsically motivating. Invariably it was highly integrated, with no thought given to old boundaries – like was it educational, entertainment, communication, social science or history. In contrast the school digital teaching model has always been highly structured and focused on what the school or education authority ‘experts’ believed to be appropriate. Throughout the period the teaching has been unilaterally controlled, directed by the classroom teacher, with the students disempowered, distrusted and obliged to do as told. The teaching built upon linear, sequential instructional programs where the digital education was invariably treated like all other subjects, shoehorned into an already crowded curriculum and continually assessed. Some authorities made the ‘subject’ compulsory, others made it optional. The focus – in keeping with the other ‘subjects’ in the curriculum – was academic. There was little interest in providing the young the digital understanding for everyday life. The teaching took place within a cyber walled community, at the time determined by the teaching program. Increasingly the course taught and assessed became dated and irrelevant. In considering why the young and the digitally connected families of the world have embraced the laissez faire model of digital education aside from the young’s innate curiosity and desire to learn we might do well to examine the model of digital learning we have used over the last twenty plus years and reflect on how closely it approximates that adopted by the young. Might they be following that ancient practice of modelling the behaviour of their parents? examine where scarce taxpayer monies can best be used to improve the digital education in the networked world. Let us all finally recognise the core qualities and the remarkable global success of the laissez faire digital education model and build upon its achievements. Lee, M (1996), ‘The educated home’, The Practising Administrator, vol. 18, no. 3 1996. This entry was posted in 24/7/365 digital education, 24/7/365 schooling, Digital ecosystems and student learning, Digital normalisation, digital schools, digital transformation, digitally connected families, Implications school evolution, laissez faire digital education model, lead role of young and family in digital education, networked family, networked schools and society on May 15, 2017 by mallee. In addition to taking prime responsibility for the 24/7/365 digital education of the world’s young the digitally connected families over the last two decades unwittingly took an increasingly greater lead role in the provision of that education. Critically – and largely unseen- they took that lead worldwide. What we have witnessed over the last twenty plus years – and see today worldwide – is a naturally evolving phenomenon, over which governments and education authorities had held no sway. In examining the past 20 plus years it soon became obvious that the digitally connected families had – and continue to have – significant advantages over formal schooling in providing the desired rapidly evolving 24/7/365 digital education. Since the advent of the WWW an empowered young, with the support of their families, have played a lead role in the out of school digital education. Over time they have naturally accommodated the accelerating digital evolution and transformation, while the schools struggled. The young, with time to explore and a strong desire to share, are often ahead of their parents in the use of digital connectivity. And considerably ahead of their teachers. With the advantage of hindsight, it is easy to see why, and why even the most visionary and well led of schools took so many years to achieve digital normalisation. The reasons lie in the organisational arrangements, the educational model used and the attitude adopted. Organisationally the established schools of the world continued to use the tightly controlled, inflexible linear and hierarchical structures that emerged in the Industrial Age, while the digitally connected families employed a highly agile model, able to evolve naturally at pace. Helbing in commenting on the Digital Revolution reiterated the inability of all manner of bureaucracies to accommodate rapid, uncertain change and the importance of moving to the use of highly agile self-regulating units. In a rapidly changing world, which is hard to predict and plan, we must create feedback loops that enable systems to flexibly adapt in real time to local conditions and needs (Helbing, 2014). The shift globally to greater school autonomy was a step in that direction but in examining the plethora of controls imposed by governments and their bureaucrats – controls over the likes of working conditions, the allocation and use of funds, school times, purchasing, imposed digital systems, reconciliation of accounts, treatment of students, the curriculum and the mode and time of assessment it was apparent that ‘autonomy’ was limited. In contrast the digitally connected homes of the world, operating as small self-regulating units, within a laissez faire environment with their own resources, and responsible for their own children had no such constraints. They could instantly acquire the technologies they wanted and use them as they wished. Quietly over time they have taken advantage of the dynamic highly fluid nature of their situation to quietly create increasingly integrated and powerful digital ecosystems. The teaching model employed by schools was – and continues to be – highly structured and controlled. It was throughout the period insular in nature, inward looking and fixated on the physical place called school. Education in the use of digital devices was invariably taught within class groups as a discrete subject. The schools followed a set, linear curriculum where the class teacher directed the teaching and student assessment, accommodating all manner of external controls and management checks. In contrast the digital education model outside the school was completely laissez faire, freewheeling, seemingly chaotic, invariably non-linear, done ‘just in time’, undertaken anytime, anywhere, invariably in context. It was wholly individualised, directed by the learner’s desires, with she/her deciding where to turn if support was needed. That said the nature of the teaching and learning adopted was remarkably similar worldwide. It very soon became the new universal normal for the young. Importantly the self-directed learning with the digital was highly appealing to the young, exciting, intrinsically motivating, with no need for any assessment other than by oneself and through recognition by their peers. Significantly throughout the period – even though in hindsight they did very well – many parents continually looked for support and direction, and to collaborate with the schools. In the first half of the period this reflected the lack of digital understanding and in the second when the increasingly sophisticated converging technology took the learning to a continually higher plane. Parents struggled to find that support. 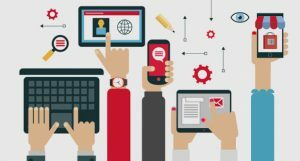 Students are frustrated and increasingly dissatisfied by the digital disconnect they are experiencing at school (Pew Internet, 2002). The genuine collaboration didn’t begin until the late 2000s when the first schools moved to a digital operational mode and recognised its educational sense. As Lee and Ward (2013) observe, it would appear the home – school collaboration will not occur until schools have gone digital and are ready attitudinally. The work of the digitally mature schools globally from around 2010 – 2012 demonstrated that schools could with the right principal and mindset play a lead role in the 24/7/365 education of the young – if they are of a mind to recognise and build upon the out of school learning, and genuinely collaborate with their digitally connected families. They had the educational expertise desired by most families, and the ability in a 24/7/365 setting to take the young’s working knowledge of the digital to a significantly higher level. But it all came down to attitude. The young and the parents of the world have shown from the advent of the Web – like the visionary school leaders – the importance they attach to their children’s digital learning. Most governments and school don’t. Despite the fine sounding rhetoric about the digital the priorities of developed nations are expressed in their basic skills tests. The priorities expected of principals invariably relate to the perceived basics like PISA score performance and most assuredly not an appropriate holistic education for an evolving digital and socially networked world. While there are ‘maverick’ digitally mature schools globally pursuing the latter in 2017 they are still rare. Disturbingly not only are most schools unable to accommodate exponential digital evolution and change, but most – along with their governments – are not interested in so doing. Even when schools have developed approaches to the use of digital that empower young people and which listen to how they learn best in the digital world, these approaches can atrophy and disappear when leadership changes. This suggests that the ways most teachers perceive their accountability are so strongly linked to traditional industry-age schooling that this can rapidly outweigh the benefits they see of digitally empowering the young, as soon as the school leaders cease to make this a priority. A telling reality is that a quarter of a century after the advent of the WWW and decades of societal digital transformation globally, digital education performance in schools is still being assessed by paper based exams. That is what is happening globally, largely unseen. As the strength of the young’s capability to use digital grows, and as industry-age schooling continues to produce only meagre advances in the learning of the young, the stage is being set for a breakdown in parents’ belief in how well their children’s schools are preparing them for life. This entry was posted in 24/7/365 digital education, 24/7/365 schooling, digital transformation, digitally connected families, impact of mobile technology on children's education, laissez faire digital education model, lead role of young and family in digital education, networked family, networked schools and society, school digital ecosystem, Uncategorized on May 8, 2017 by mallee. The digitally connected families of the world over the last two decades have played a remarkably successful, yet largely unseen, role in enabling their children to secure an ever evolving 24/7/365 digital education. In researching a forthcoming publication on the impact of personal mobile technologies on the digital education of the world’s young, since the advent of the WWW the role of the family rapidly became clear. It is the young with their families outside the school walls that have primarily provided the requisite digital tools and education – not the schools. In 2016 3.4 billion plus people (ITU, 2016) – half the world’s population – accessed the networked world. Well over a billion were likely young people. Few had learned to use that current, mainly mobile, digital technology in schools. Rather that understanding had been acquired in the developed, developing and underdeveloped worlds with the monies and support of the children’s families. It is time the world – and particularly the parents, the young themselves, educators, policy makers and governments – recognised, and built upon that remarkable achievement. Critically it is also time to understand that those families employed – unwittingly but naturally – a laisse faire model of learning and teaching fundamentally different to the traditional highly controlled, structured and sequential school approach. Vitally they have used an approach appropriate for a rapidly evolving digital and socially networked world. Schools in comparison are still very largely using an educational model from the Industrial Age. The education in using digital devices from the outset occurred outside the school walls. For the parents this happened in a completely laisse faire, market driven, naturally evolving environment where government had no voice and provided no support. For the young it enabled learning from incidental opportunistic moments to in some cases very focused and intense self-driven learning. It was the young with the monies and support of their families who took control of the learning. Critically it was parents who believed in the educational importance of the digital for their children who funded the technology, and empowered and supported their children’s largely unfettered use. It is – as most are aware – an informal education, largely self – directed, highly individualised where the learning is invariably non-linear, seemingly chaotic, dynamic, undertaken in context and just in time. It is an approach the young found highly appealing, exciting, relevant and intrinsically motivating. From 1993, the advent of the WWW the learning started to take place 24/7/365, and by the early 2000s the evolving technology allowed it to happen anywhere, anytime. Ironically from the outset the role of the young and the family was bolstered by the schools’ insularity, their worldwide retreat to behind their cyber walls and their purported desire to protect the children from the dangers of the Net. The young and their families were left by default to fend for themselves in that 80% of learning time available annually outside the school walls. Disturbingly today many, if not most schools still work behind those walls not recognising, supporting or building upon the out of school digital learning and education. The schools that are notable exceptions to this are engaging with families and supporting the children’s independent learning because of their own drive to do so, often battling education authority regulations and systems. The majority of the students who have the basic skills developed them at home (Meredyth, et.al, 1999, pxvii). That was happening naturally and largely unseen globally. As the young evolved their digital capability and facility to readily use of all manner of current technologies so too did their parents, as evermore used the technology in their work and came to rely on the increasingly sophisticated mobile technology. In 2008 Pew Internet released a study entitled ‘The Networked Family’ (Pew Internet, 2008) which noted the US had reached the evolutionary stage where the new norm was for all within the family, the parents and the children to base their lives around the everyday use of the digital. They were working within a digital and socially networked mindset, normalising the use of all manner of digital technologies in every facet of their lives. ….this survey finds that couples use their phones to connect and coordinate their lives, especially if they have children at home. American spouses often go their separate ways during the day, but remain connected by cell phones and to some extent by internet communications. When they return home, they often have shared moments of exploration and entertainment on the internet (Pew Internet, 2008). The Pew findings, coming as they did around the time of the release of the iPhone in 2007, correspond with our own which saw in the period 2007 – 2009 those families becoming the norm across the developed and increasingly the developing world. The authors and the 50 plus eminent observers interviewed in our research, have concerns about the title ‘networked family’ conscious of the ambiguity that comes with the physical networking of organisations and homes. The strong preference is for the term ‘digitally connected families’, aware that it is the all-pervasive connectedness provided by the digital that has allowed both the nuclear and extended family to employ the technology in all facets of their lives. Digitally connected families are those where the parents and children use the evolving suite of digital technologies naturally in every desired facet of their lives, that employ a digital mindset and which have – or nearly have- normalised the use of the digital. They created a home environment where the new norm was for all the family – the children, parents or increasingly the grandparents – to naturally, almost unwittingly contribute to the on-going digital learning. How often does one hear – dad, you can do it easier this way? In the decade after the release of the iPhone and the touchscreen technology the educational capability and leadership of the digitally connected families grew at pace. As the parents normalised the use of the digital, became more digitally empowered and embraced the mobile and app revolutions, the Net Generation parents’ children entered school and the families of the developing and underdeveloped world employed the technology in ways unbounded by Western educational traditions so the gap between the digital education provided in and out of the schools grew ever wider – with most schools lagging ever further behind the societal norm. The capability of the digitally connected families of the world has been exemplified in the last 3-4 years as the pre-primary children from two to three years of age have embraced the mobile touch screen technology. As the 2015 European Commission study (Chaubron, 2015) of eleven European nations attests the families of the young have very successfully guided their children’s learning with the technology. They have, like the other digitally connected families of the world led the teaching, well before most schools and decision makers understood that the pre-primary children of the developed and increasingly the developing world would enter formal schooling having normalised the use of the digital. We are not suggesting for a moment that everything is perfect with the 24/7/365 education provided by the digitally connected families of the world. There is a substantial gap between families in their ability support their children’s astute application of the digital. As Ito and her colleagues (2013) attest in a laissez faire environment, like that of many schools, the educationally advantaged continue to be advantaged and the disadvantaged possibly further disadvantaged. begin the thinking on the implications of this historically important development. In the next post, we’ll address more fully the digital leadership of the digitally connected families and the opportunities that flow. This entry was posted in 24/7/365 digital education, Digital ecosystems and student learning, impact of mobile technology on children's education, International school evolution measure, laissez faire digital education model, lead role of young and family in digital education, networked family, networked schools and society, The Digital and Empowerment on May 1, 2017 by mallee.